The spookiest time of the month has arrived again! Prepare yourselves for the shock of a lifetime with the events we have for you! Purchase any amount of IMPs over or equal to 1,000 on any payment method in the time period listed above and you will get 13% more Item Mall Points! We've updated the sock in the Item Shop's "Promotion" tab! Check it out and act fast, or these items will be gone! All exchange amounts are multiplied by 5x! Bonus voting rewards on Sunday will be between 4-6x the amount! During this event, the prizes will be changed to a special Halloween giveaway. The system will give out prizes to all players that are online every 4 hours! Halloween King is planning a surprise attack on the city of Shaitan right before Halloween shows up! Upon this invasion he has called out his fellow bosses! Note1: Evil Pumpkin Head Carving CANNOT be traded, sold, or dropped. Note2: Evil Pumpkin Head Carving are a different item from last year. The Evil Pumpkin Head Carving from last year will NOT be counted. Note3: The chance to obtain Evil Pumpkin Head Carving from Tower of Terror is NOT 100% from each floor. Note1: All Evil Pumpkin Head Carving MUST be in the players inventory by October 31st, 2018 11:59 PM or they will not be counted. The Mayor of Halloween Town has requested aid from all of the players! 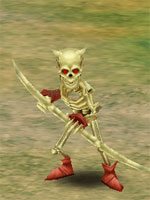 MISSION: Hunt down the skeletons running amok in his town! A gang of skeletons are spawning every 3 hours in Halloween Town ruining the mayor's spooky, but somewhat peaceful city. They seem to mess up everything in the town and the mayor is at the end of his wits. To fix this skeleton problem, the mayor has put up some insane rewards for a certain number of skeletons killed! Do you think you have what it takes to help the mayor get rid of the skeletons? Form a teams or hunt solo, it all counts towards the kill goal! Note4: The damage buff will not show your stats increased through the stats window. It is applied to the formula calculated that shows the damage done to an enemy/mob. To view it in effect, use the player command "/buff"
Our staff will face off against the players in an intense battle! Note1: Players will only be able to attack Staff Members. You will not be able to PK each other during this event. All players who enter the map before it closes will obtain a participation prize at the end of the event. Please make sure you enter at least one during this time! Note1: Participation prizes will be given once the event has ended. You must have entered the map during the event in order to be enlisted as a participant. Note1: Monsters will be summoned once the event has ended. To further enjoy this event, during this time period, all players can enjoy a +13% damage boost!